Is Erik Salitan Gay ? Reality television star Erik Salitan rose to fame all of a sudden after appearing in one of the top reality-based TV shows, Life Below Zero on the National Geographic Channel. He appeared in the show along with his wife from 2013 to 2016. As the couple disappeared from the documentary television series, fans went on so curious about what's the couple up to. 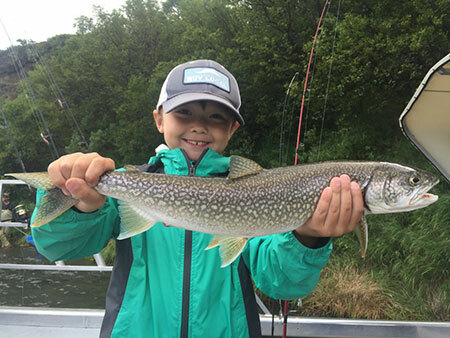 At present, he runs a company named Buckwhack Alaska Guiding & Outfitting and Talarik Creek Lodge and splits his time between Alaska and the Alaska Peninsula. Erik Salitan's Personal Life: Who Is His Wife? TV personality Erik Salitan and his wife Martha Mae had been an integral part of Life Below Zero since the show premiered in 2013. The couple disappeared from the show in the mid-2010s and some fans even took concern about the couple. Fans even took the Facebook page to inquire about the pair. Erik Salitan with his wife Martha Mae Salitan. Surprisingly, the pair returned back in the seventh season of the documentary TV series which aired in 2016. They appeared in three episodes of “Lost in the Wild”, “Under the Gun” and “Renegades of the Arctic.” They left the show once again after “Renegades of the Arctic”, which aired on December 27, 2016. The pair lives a blissful life far from the reach of fans and media. They have a son named Lucas born in 2010. He is studying at Wood River Elementary. Erik Salitan's lovely son, Lucas. Currently, Salitan is the owner of Bushwack Alaska Guiding & Outfitting. It is a company that offers many hunting tours in the Alaskan wilderness. In addition, the duo also operates the Talarik Creek Lodge, a cottage that gives tourists amazing views of Lake Iliamna in the epicenter of Alaska. On the other hand, his wife, Mae is one of the owners of Blanchard Family Funeral Home and Birch Hill Cemetery. Salitan has an estimated net worth of about $0.4 million as of 2019. Without a doubt Life Below Zero is one of the top reality-based TV shows about Alaskan residents and day-to-day life in such harsh surrounding. Among others, the main cast of the TV show Sue Aikens, a resident of Alaska for more than 30 years has an estimated net worth of over $500,000. In addition to it, Andy Bassich has more than $250,000, Glenn Villeneuve has $500,000 and his wife Martha Mae Salitan also has a huge net worth and salary which is still under review. Erik Salitan was born on 9 February 1984 in the United States under birth sign Aquarius. He was interested in adventurous activities since his childhood days. He attended the Finger Lakes Community College and later joined the University of Fairbanks and received a degree in Applied Science. Meanwhile, he spends most of his time hunting, fishing, and trapping in the Alaskan bush. He is the registered guide running a firm called Buckwhack Alaska Guiding & Outfitting that provides various hunting experience to the tourists. He splits time between his home Alaska and the Alaska Peninsula at present. Erik Salitan is married to his wife Martha Mae for a long time. 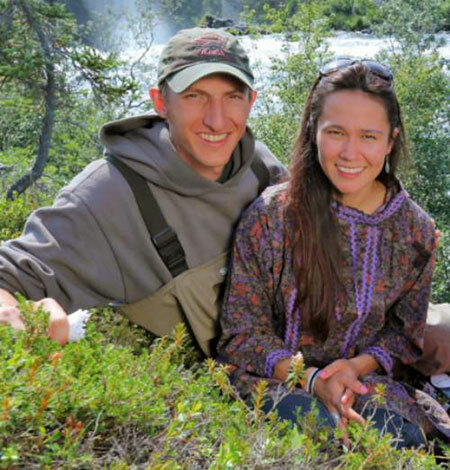 The Alaskan native has been living a blissful married life with a son. The couple appeared in Like Below Zero from 2013 to 2016.